DIPLOMACY The President of Romania, Klaus Iohannis, has talks today with his Egyptian counterpart Abdel Fattah El-Sisi, on the sidelines of the EU – League of Arab States summit to be held in Sharm El-Sheikh, Egypt. The 2 officials will look at the bilateral relations and discuss concrete means to encourage and deepen the cooperation between the 2 countries, in all areas of mutual interest, particularly in the economy. According to a news release issued by the Presidency, the consultations will also be a good opportunity to discuss common priorities, in light of Romania’s holding the rotating presidency of the Council of the EU and of Egypt’s holding the presidency of the African Union. At the summit in Egypt scheduled on Sunday and Monday, Klaus Iohannis will give an address presenting Romania’s views on the cooperation between EU member states and the Arab League countries in view of finding common solutions to current, as well as medium and long term future challenges. PES The Romanian PM Viorica Dăncilă had a meeting today with the PM of Spain, Pedro Sanchez, on the sidelines of the congress of the PES in Madrid. The 2 officials expressed their satisfaction with the excellent bilateral relationship, confirmed by the Strategic Partnership, and with the dynamics of bilateral sectorial dialogue. They also discussed the 2 countries’ cooperation within the EU, given that Romania and Spain have similar views on major topics for the future of the Union, such as the post-2020 financial framework, the cohesion policy, the internal market, justice and home affairs, the Neighbourhood Policy and the EU enlargement. On Friday the Romanian PM had talks with her counterpart from Malta, Joseph Muscat, and with the Portuguese PM, Antonio Costa. PROTESTS Magistrates in Bucharest and several other Romanian cities protested on Friday in front of court buildings against new changes introduced to the justice laws. They also decided to suspend work for a week, as of Monday. Prosecutors and judges say that Ordinance 7, passed by the Government early this week, may lead to institutional deadlock and affect their independence. One of the provisions that angered the magistrates says that judges having previously worked as prosecutors may be appointed as chief prosecutors, and waives the seniority criterion. The emergency decree has been criticised both in Brussels, by the European Commission, and in Romania, by magistrate associations, the prosecutors division in the Higher Council of Magistracy and by the right-of-centre Opposition. DRUGS Romanian police jointly with German authorities dismantled a crime group that distributed large amounts of illegal drugs, particularly in Bucharest night clubs. During the operation, which took place last year, the authorities seized 11 kilos of high-risk drugs, 800 euro and 2 vehicles. Five individuals were arrested. The operation was based on intelligence received from German authorities, which found and seized a package containing over 3 kilos of high-risk drugs, during a routine check on a coach traveling from Rotterdam to Bucharest. Romanian police say the amount had been sent to a crime group distributing large amounts of drugs in Bucharest.  WEATHER Romania struggles with exceptionally cold weather, particularly in the north and centre of the country. A code yellow alert for strong wind is in place across the country, except for a few counties in the south-west and the north. On Friday night authorities temporarily suspended navigation in all ports at the Black Sea, and railway traffic was also disrupted. The strong wind brought down tens of trees in the capital Bucharest on Friday night. MOLDOVA In the Republic of Moldova, the election campaign for Parliament continues. The recently modified election legislation scrapped the so-called reflection day, so candidates may campaign on the very day of the election as well. For the first time, a mixed voting system will be used, with 50 MPs elected on party lists and another 51 in a single-choice system, in one voting round. Polls indicate President Igor Dodon’s pro-Russian Socialist party is ahead, with nearly 40% of voter intentions, followed by a pro-European right-of-centre election cartel called ACUM, with 25%, and the pro-Western Democratic Party with 15%. A referendum is also held at the same time, concerning the reduction of the number of MPs from 101 to 61 and the possibility to have them removed from office by citizens. SPORTS The Romanian women’s handball team CSM Bucharest plays today at home against the Hungarian side Gyor, in a game counting towards the Champions League main group stage. Also today, Dinamo Bucharest plays Sporting Lisabon away from home, in the first qualifying round for the 8th-finals of the men’s version of the same competition.